Sometimes, pictures received from Mars Global Surveyor's Mars Orbiter Camera (MOC) are "just plain pretty." 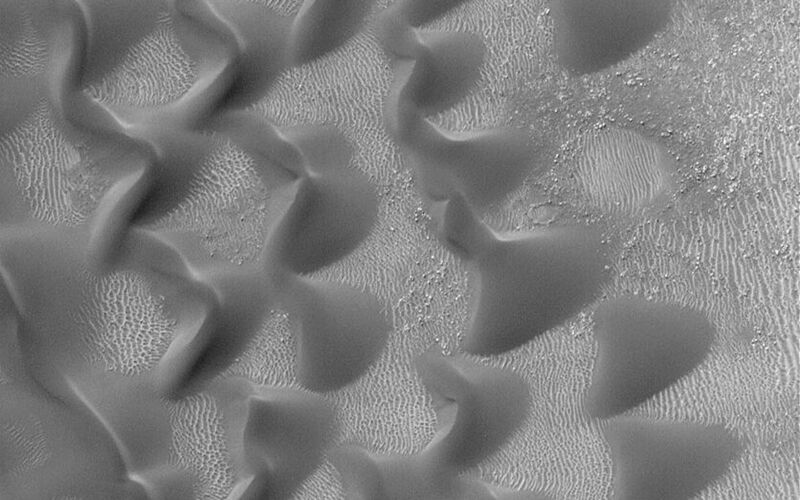 This image, taken in early September 2000, shows a group of sand dunes at the edge of a much larger field of dark-toned dunes in Proctor Crater. 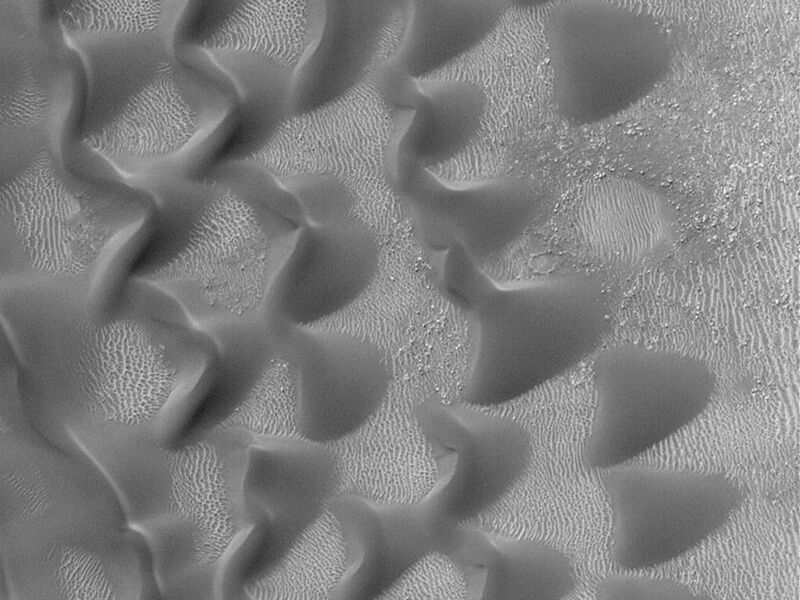 Located at 47.9°S, 330.4°W, in the 170 km (106 mile) diameter crater named for 19th Century British astronomer Richard A. Proctor (1837-1888), the dunes shown here are created by winds blowing largely from the east/northeast. 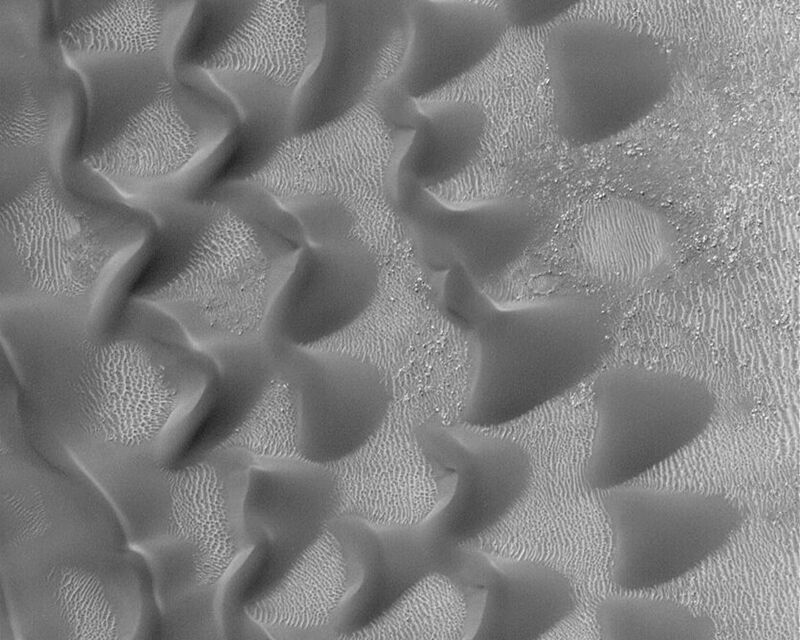 A plethora of smaller, brighter ripples covers the substrate between the dunes. Sunlight illuminates them from the upper left.